Ryan Kesler isn’t one to duck telling it like it is. On Wednesday night, the Anaheim forward let his game do the talking, helping lead his squad to a 5-2 win over Winnipeg and a sweep of their Western Conference quarterfinal series. 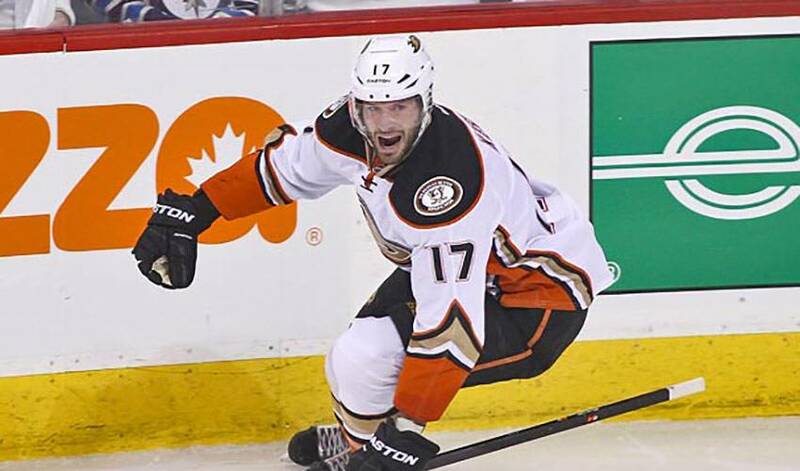 Kesler was dominant throughout the game and scored two third period goals to help the Ducks seal the deal in Game 4 and punch their ticket to Round 2. The 30-year-old forward recorded 3 goals and five points versus Winnipeg, accompanied by eight shots and a plus-two rating. In 61 NHL playoff games, Kesler has 15 goals and 43 points. STAT PACK: Kesler had two goals on five shots, taking 28 shifts in 19:05 of ice time. NEED TO KNOW: Traded from Vancouver to Anaheim last June after 10 seasons with the Canucks, Kesler’s first sporting experience in the city he now calls home was throwing out the ceremonial first pitch at the Angel Stadium of Anaheim on July 9, 2014. “No, I wasn’t, surprisingly,” Kesler told NHLPA.com, when asked if he was nervous in the seconds leading up to his pitch. “I played baseball until I was nine, so maybe I convinced myself that I still had it in me. But, when I got out there, I remember thinking, ‘This is a lot farther away than it looks.’” The call? A little outside, but might have caught the corner. PERSONAL FAVOURITES: Kesler’s top TV shows are “Game of Thrones” and “Sons of Anarchy.” His favourite movies are “Old School” and “Billy Madison.” His hockey idols growing up were Mike Modano and Joe Sakic. STARS AND STRIPES: Ryan is a proud American and has worn the USA sweater with pride on many occasions, with impressive success. Kesler won a gold medal with the U.S. at the 2002 World U18 Championships and another gold at the 2004 World Junior Championships. He won silver at the 2010 Winter Olympics. HONOURABLE MENTIONS: Craig Anderson turned aside all 28 shots he faced to help keep the Senators in their first-round set against the Canadiens. Kevin Hayes (1G) scored the overtime winner in a 2-1 New York Rangers win over Pittsburgh. Vladimir Tarasenko (2G) hit the highlight reels with a jaw-dropping tally in St. Louis’ 6-1 triumph over Minnesota.